Qualification: Graduate / Post Graduate / B.E. 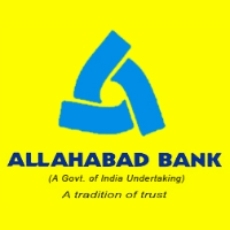 Allahabad Bank published an official notification for Recruitment of Specialist Officer for 92 posts. Eligible candidates can apply for this recruitment. You can view more details about this recruitment including No. of posts, name of post, Educational qualification, Age limit, Selection process, How to apply etc... You can also view official notification and other important facts about this recruitment e.g. Important links and Important dates. Manager (Fire Safety) (MMG Scale-II): B.E.(Fire)/B.Tech. (Safety & fire engineering)/B.Tech. (Fire Technology & Safety Engineering) From recognized institute Minimum 3 years in Fire safety including fire & safety of high rise buildings. Manager (Law) (MMG Scale-II): A bachelor degree in Law (LLB) Enrolled as an advocate with Bar Council and minimum 3 years experience of practice at Bar or Judicial service and / or minimum 2 years as a Law Officer in the Legal Department of a Scheduled Commercial Bank or the Central / State Government or of a Public Sector Undertaking and candidates should produce a certificate of having requisite post qualification work experience from the Court / Bar Council / Organization. Manager (IT) (System Administrator) (MMG Scale-II): 4 years Engineering Degree in Computer Science/Computer Applications/Information Technology/Electronics/ Electronics & Telecommunications/Electronics & Communication/Electronics & Instrumentation.Minimum 2 years experience in maintenance and administration of Operating Systems e.g. Windows, Linux, Unix, AiX etc.